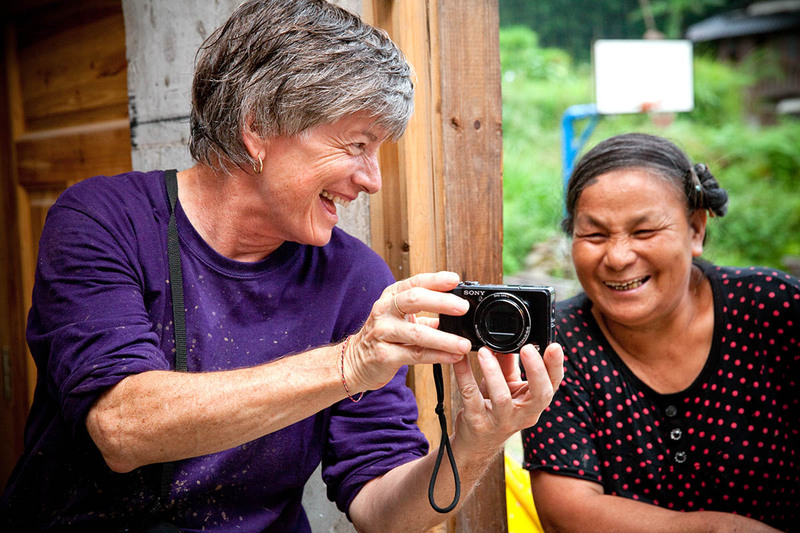 Global Village volunteer Linda McDowell (left), from Albuquerque, shares photos with a woman from Panrong village. Linda spent a week helping to build new Habitat homes in the area. Habitat for Humanity China offers microcredit loans to many families in the area who need to relocate due to dangerous landslides.